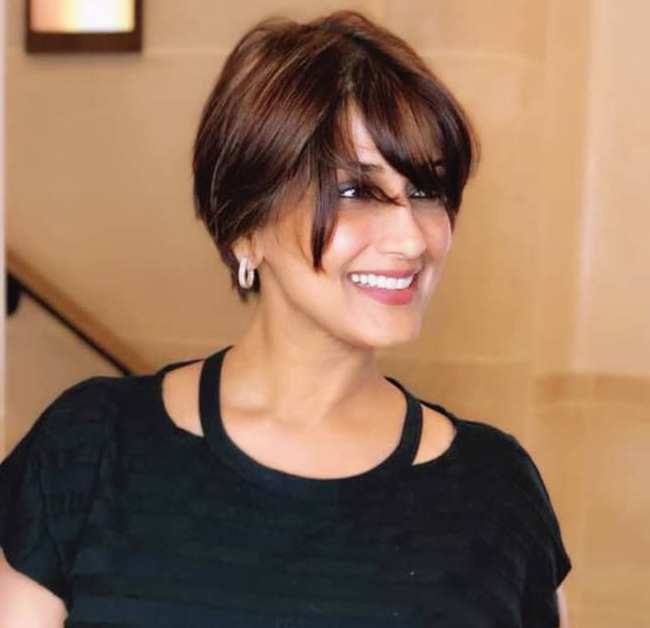 When Sonali Bendre announced her illness to the world, many were shocked. She said that she will be battling this disease and for this she is being treated in New York. The actress has an update regarding her treatment. She has got an haircut. Her husband Goldie Behl is there with her. She has had an haircut. "The outpouring of love I’ve received in the last few days has been so overwhelming… and I’m especially grateful to those of you who shared stories of your experiences in dealing with cancer, whether it was your own or of loved ones. Your stories have given me an extra dosage of strength and courage, and more importantly, the knowledge that I’m not alone." "Each day comes with its own challenges and victories and so for now, I’m taking this #OneDayAtATime. The only thing I’m trying to be consistent about is maintaining a positive outlook... literally #SwitchOnTheSunshine - it’s my way of dealing with this. Sharing my journey is also part of this process... I can only hope it reminds you that all is not lost and that someone, somewhere understands what you’re going through."